Back in the day, when Television Without Pity was the sort of site I read often (back when I was too busy with other stuff to watch much TV live and didn’t have a—gasp—DVR), the site had a description for what happened in most episodes of Everwood. I don’t know if you’re familiar with that show, but let me explain. Everwood was a family drama about a troubled doctor whose wife had just died. He moved his family to a small town in the middle of the Rocky Mountains and attempted to make good for all of his past transgressions by building a better relationship with his kids (well, really, his son, since his daughter was often an afterthought) and opening a free clinic to help the people of this small town his wife loved so much. Every episode, there would be some sort of spat, but then father and son would come back to loving each other in the end. It was kind of an obvious show, but it was also surprisingly good, doing the heartfelt sentimentality thing about as well as any show did last decade. But why those moments worked goes back to a real reason the show worked for me. At its best, Lights Out was a quiet show about everything that can happen when you try to do the right thing. A man tries to provide for his family in the only way he knows how, and that way keeps getting him in deeper and deeper troubles. One of the questions Lights Out has been wanting us to ask ourselves is whether a thing is right because the intentions behind it are good. (The road to Hell and all of that.) 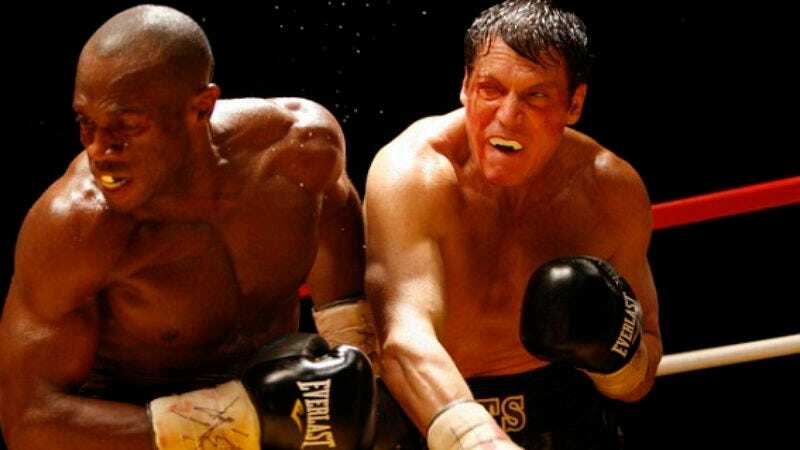 What the finale argues is not that Lights was totally in the right because he just wanted to do right by his family but that what he did was somehow lessened by the fact that he was up against overwhelming odds—both in life and in the ring—and overcame them. In the end, after a season where literally everyone was against him at one point or another (even Katie had her bad dreams), he came out on top by relying on his unswerving compass of what he had to do. This is not to say that the journey all of the way there always worked. The last few episodes have felt incredibly scattershot—even if I really, really liked some of them—and the season certainly took its time to get going. But the finale felt like the kind of payoff the season needed, the sort of thing that maybe won’t cement this as an all-time, one-and-done kind of classic but will certainly show that this was a show that had more life in it than it seemed to have at the start. By making a boxing drama that focused primarily on the domestic stuff, Lights Out wasn’t always the most riveting of series, and it occasionally did its boxing storyline a real disservice (since it was hard to pinpoint just how well Lights was supposed to be doing at any given moment). But it took its intriguing main character and surrounded him with a series of riveting supporting characters—both regulars and guest stars—and that’s not nothing. Warren Leight and his team deserve credit for pulling this all together in mostly satisfying fashion. Going into this episode, I half hoped it would be all boxing, all the time, just to make up for the fact that the boxing side of the series has been a little undernourished in recent weeks. Instead, we got a long build-up to the fight that should have felt ridiculous but didn’t. (I blame the fact that this has become a de facto series finale, and that made things a little bittersweet.) But there were many great moments in that build-up, starting with the footage of the last Leary/Reynolds decision, intercut with moments from the season that had affected Lights the most. It was a nifty way to tie all of this together as a journey not one season but FIVE YEARS in the making, a journey by a guy who took his knocks along the way but kept getting up. And, sure, there was the stuff with Katie having a bad dream or Pops and Lights warming up together in the ring, but at this point, I have a certain degree of affection for these people, and that made the sentiment work. In a pretty great piece on the movie E.T., Charles Taylor argues that when sentimentality works, it works because writers and directors don’t ask us to focus on the hardship and feel bad about those; they ask us to focus on the moments of uplift, the moments when people transcend the terribleness, just for a moment or two, to feel really, really good. And Lights Out, even though it won with Lights winning the rematch, was smart enough to do this. The moment that makes you feel those sentimental vibes is AFTER, when Lights has won and all of the troubles have gone away, just for a moment. But every happy moment here is tinged with a touch or two of pain, as when Lights wins by essentially pummeling Death Row (a character we’ve come to like) into submission, until the ref has to stop the fight, despite the fact that he’s in Barry’s pocket. Even the series’ strongest former triumph—the win over Morales—gets a new tinge of doubt, as Barry reveals Brennan (who seemed so friendly to the sport earlier) paid off Morales to take a dive. Granted, this is a moment most of us suspected was coming, but it didn’t make the moment any less of a gut punch. And it ended the way it had to, with the man alone, standing in his prep room, staring into a mirror, then walking off to find his family, only to wander into a broom closet. Lights has vanquished his greatest opponent, and he’s vanquished the myriad of domestic and economic problems he faced down throughout the season. He’s got the money he needs (though that earlier scene with the prizefighter who took home only $92,000 out of a $2 million payday may have been a seed planted for the second season that will never come), and he’s finally got his family all around him. But he can’t beat time. He can’t beat the condition that’s already settling over his brain like a fog. Maybe that’s how karma works. Maybe you try to do the right thing, so you get the immediate win, but in the long run, you lose it all anyway. Wasn’t the fight supposed to be in Vegas? How were Ava’s classmates going to join her for the fight if not? Or am I COMPLETELY MAKING THIS UP? I don’t know if you guys got this song on your broadcast or not (since they frequently change from screeners to air—I had Lady Gaga on last week’s Justified, but the actual broadcast changed it), but “Fortunate Son” struck me as both a particularly appropriate choice for Lights and kind of over-obvious. Still, it’s a great song. Y’know what? It might have been super cheesy, but I really loved when Mike the reporter told Lights that he DOESN’T GIVE UP. It was just the kind of awesome I wanted in that moment. And even though our numbers have dwindled as much as the viewing audience has, it’s been a pleasure working through this series with y’all. Here’s hoping it finds some sort of afterlife on DVD.